Regardless of the car you drive, it’s important to use the proper transmission fluid. And, if your car has a high performance automatic transmission, it’s imperative! The wrong fluid won’t just give your vehicle less performance; it could potentially cause serious damage to the transmission as well. 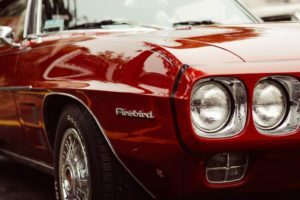 Protect yourself and your car with these tips that will better help you understand and identify the proper automatic transmission fluid to utilize. Firstly, you’re going to need to know when to change the fluid in your car. Many regular drivers won’t even think about it, until their car seems as though it’s lagging when changing gears. They’ll pull the dipstick out of the auto transmission, and find that the fluid has gone down, smells bad, and looks dirty. If that’s happened, the damage may have already been done. If you’re keeping up with regular auto maintenance, you’ll know that for every 30,000 miles you should be changing your car’s automatic transmission fluid. If your car sees a lot of time on the track, you can even step that up to an annual fluid change. This ensures that your car’s fluid is always fresh and optimal. Back in the day, you only had two choices when it came to automatic transmission fluid: Type F, or Dexron. Now though, there’s a plethora of choices out there. This is because car companies are looking to increase the fuel mileage in their cars, and creating lubricants for meeting different sets of requirements. That’s why you have to be careful about the fluid you use, as the wrong one could spell all sorts of disaster for your engine. If you have a classic car, then the fluid you pick needs to be compatible with it. Newer fluids won’t have been made with your vehicle in mind, and so you need to be very careful. For example, the GM 4L60E is said to work well with Dexron VI. However, that fluid wasn’t even created until 2005, so you’d actually be better off with Dexron III. If you’re driving a Ford car, you may think that you can only use Ford fluids in it. In fact, that isn’t true. In some cases, you may be better off with a different brand of fluid altogether. Don’t be blinded to the right choices, because the brand isn’t ‘right’. To reduce confusion, some companies are creating universal automatic transmission fluids that are designed to work in all cars. If you’re driving a performance car though, they’re to be avoided. Stick with a single purpose fluid that you know will work in your car. You have a choice of synthetic or conventional fluids to use in your transmission. The best type in performance cars is synthetic fluids, as they offer higher performance. Once you’ve got the right transmission fluid for your car, you’ll need to get it changed. Here’s how you should change your fluid to get the maximum performance. You’ll need to take the transmission pan off to do this, so ensure that you’re blocking the back wheels of your car. Put the car on sturdy jack stands or ramps so you can get good access to the transmission pan itself. Once you’ve opened the pan, you can either let it drain out this way, or pump it out to ensure that you get as much out as possible. You’ll then need to remove the pan completely, so you can get any sediment or debris out. Now this has been done, you’ll need to replace the filter and seal. Once this is done, you can them replace the fluid with the new fluid you’ve obtained. Of course, you can go to an auto mechanic and have this done for you. Many have the equipment needed to get the job done quickly and cleanly. However, you do need to be careful which mechanic you choose to go to. Be sure to do through research on various local mechanics who are familiar with working on high-performance automatic transmissions – ask around and read reviews before you trust just anyone with your car. As you can see, there are a few things you need to think about before changing your car’s automatic transmission fluid. Do research beforehand, to ensure that you use the proper fluid for your performance car.